Enjoy a unique Vietnamese TV channel lineup from DIRECTV with VietDirect Plus™ featuring some of the most popular Vietnamese TV channels. You’ll gain access to a variety of DIRECTV Vietnamese channels with programming ranging from news to movies. The SBTN channel is also available a la carte. Only want SBTN? Order this channel today for a low monthly price. Get the first 24-hour Vietnamese programming network featuring talk shows, sports, news and more. To order an international package, you must first subscribe to a qualifying base programming package. Programming, pricing, terms and conditions subject to change. Hardware and programming available separately. DIRECTV services not provided outside the U.S.
*Regional sports fee applies in certain markets. Eligibility for local channels based on service address. Not all networks available in all markets. Additional equipment may be required. Additional & Advanced Receiver fees apply. Minimum 2-room setup required for free Genie upgrade offer. † To access DIRECTV HD programming, HD television required. Number of HD channels based on package selection. **Access to available DIRECTV On Demand programming is based on package selection. Actual number of shows and movies will vary. Additional fees apply for new releases. Some DIRECTV On Demand content requires an HD DVR (HR20 or later) or DVR (R22 or later), DIRECTV CINEMA Connection Kit and broadband Internet service with speeds of 750 Kbps or higher and a network router with an available Ethernet port are required. Visit directv.com/movies for details. Package consists of all out-of-market NFL games (based on customer's service address) broadcast on FOX and CBS. Local broadcasts are subject to blackout rules. Other conditions apply. ALL DIRECTV OFFERS REQUIRE 24-MO TV AGREEMENT. ADD’L FEES APPLY. New approved residential DIRECTV customers only (equipment lease req’d). Reqs qual. AT&T wireless phone svc during 2nd year. Credit card req’d (except MA & PA). Pro-rated ETF fee (up to $480; up to 180 for Internet) and Equipment Non-Return fees apply. 1-YR ALL INCLUDED PACKAGES: Ends 10/22/16. Price includes All Included TV Pkg and monthly fees for a Genie HD DVR + one (1) add’l receiver. After 12 mos. or loss of eligibility, then prevailing rate for TV package applies (currently $81/mo for SELECT All Included; $91/mo for ENTERTAINMENT All Included; $104/mo for CHOICE All Included; $111/mo for XTRA All Included; $121/mo for ULTIMATE All Included; $174/mo for PREMIER All Included), unless cancelled or changed by customer prior to end of the promotional period. Some offers may not be available through all channels and in select areas. 2-YR DIRECTV ALL INCLUDED PACKAGES: Ends 10/22/16. 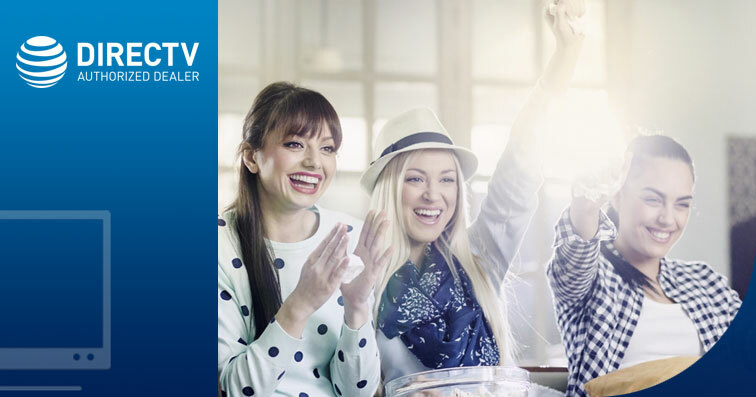 New DIRECTV residential customers who bundle w/ eligible new U-verse Voice or new or existing U-Verse Internet. Price includes DIRECTV All Included TV Pkg and monthly fees for a Genie HD DVR + one (1) add’l receiver. Internet: 12- mo. agmt req’d. Prorated ETF (up to $180) and Equipment Non-Return fees apply. Svcs: Svc addresses must match. To be elig. for 2nd yr price guarantee both services must remain active & in good-standing during 2nd year. Price Guarantee: TV Pkg only. After 24 mos. or loss of eligibility, then-prevailing monthly rate for All Included TV Pkg applies (currently $81/mo for SELECT All Included; $91/mo for ENTERTAINMENT All Included; $104/mo for CHOICE All Included), unless customer calls to cancel /change service prior to the end of 24 mos. Price excludes taxes, equipment upgrades/add-ons and other chrgs. Some offers may not be available through all channels and in select areas. See att.com/directv. PREMIUM MOVIES OFFER: After 3 mos., then-prevailing rate for all four (4) premium movie pkgs applies (currently $53.99/mo) unless canceled or changed by customer prior to end of the promotional period. 2016 NFL SUNDAY TICKET OFFER: Package consists of all live out-of-market NFL games (based on customer’s service address) broadcast on FOX and CBS. Games available via remote viewing based on device location. Other conditions apply. 2016 NFL SUNDAY TICKET regular full-season retail price is $269.94. 2016 NFL SUNDAY TICKET MAX regular full-season retail price is $359.94. Customers activating CHOICE or MÁS ULTRA Pkg or above will be eligible to receive the 2016 season of NFL SUNDAY TICKET at no add’l cost and will receive a free upgrade to NFL SUNDAY TICKET MAX for the 2016 season. NFL SUNDAY TICKET subscription will automatically continue each season at a special renewal rate unless customer calls to cancel prior to start of season. To renew NFL SUNDAY TICKET MAX, customer must call to upgrade after the 2016 season. Subscription cannot be canceled (in part or in whole) after the start of the season and subscription fee cannot be refunded. Only one game may be accessed remotely at any given time. Compatible device/operating system required for online/mobile access. Additional data charges may apply. Visit directv.com/nfl for a list of compatible devices/system requirements. Short Cuts are available from midnight Sunday ET through midnight Wednesday ET via the NFL SUNDAY TICKET App. For full Mix Channel and interactive functionality, HD equipment model H/HR 21 or later is required.